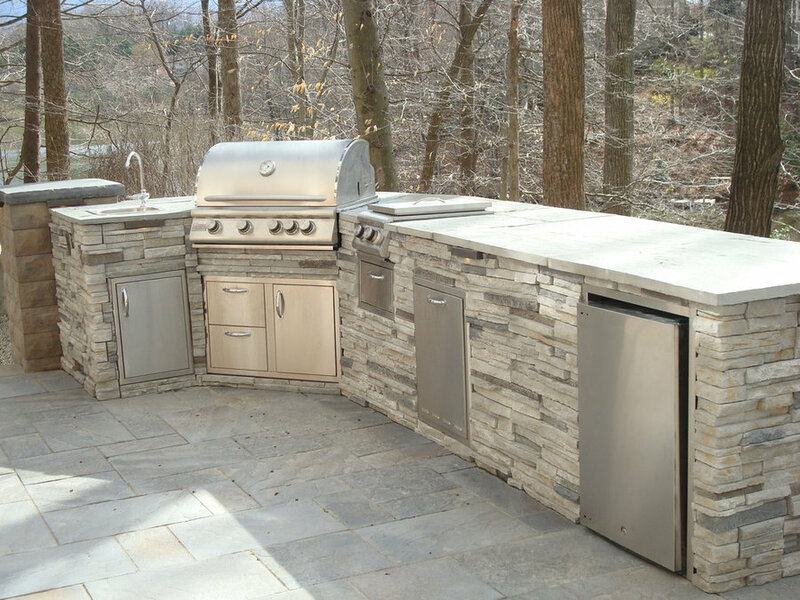 Nice outdoor kitchen with cultured stone veneer, stainless steel appliances and flagstone counter top. 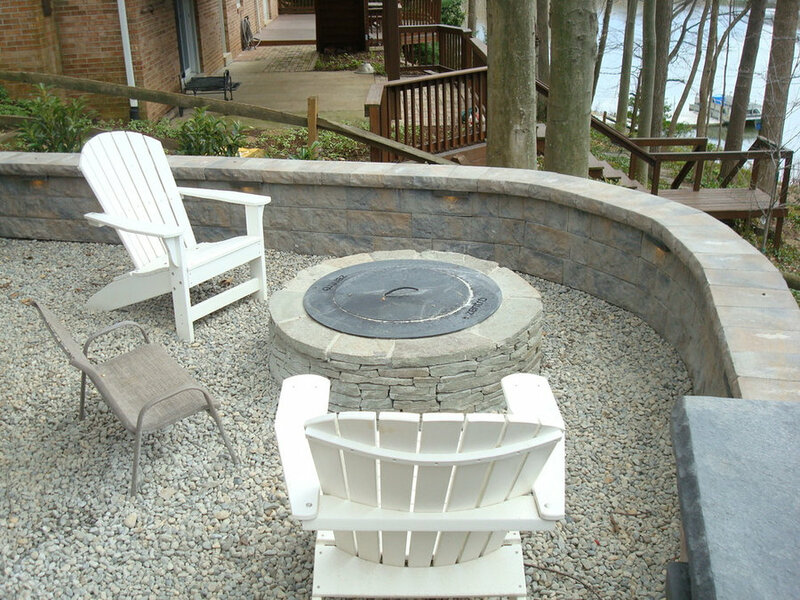 River Jack patio with stone fire pit. Firepit is smokeless. 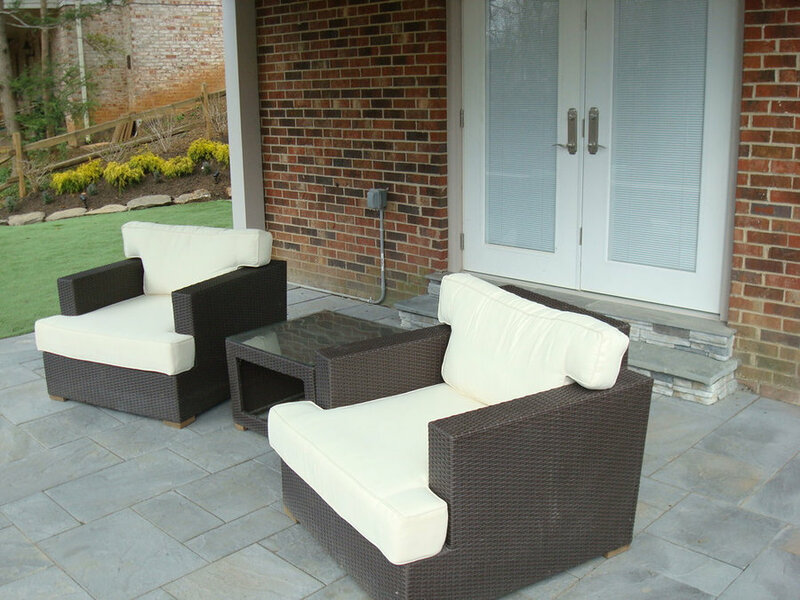 seat wall surround with built in lighting. 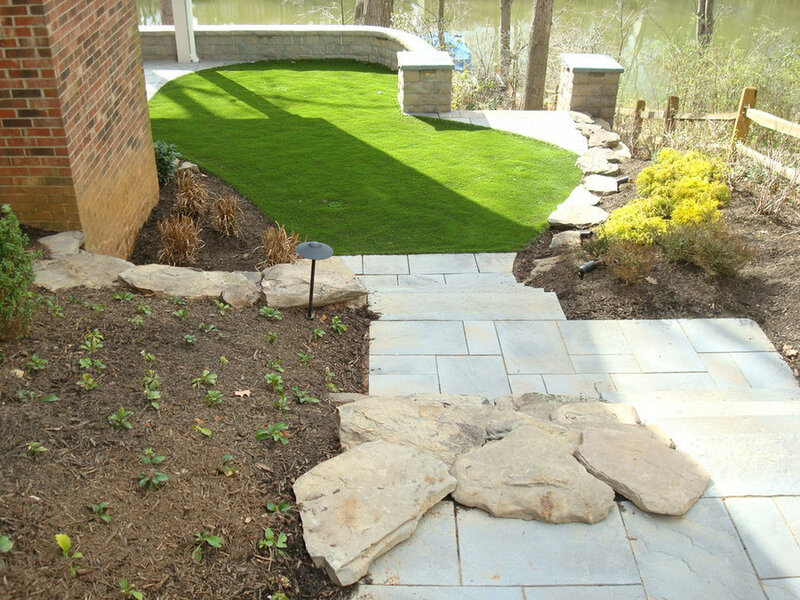 Lovely boulder steps to waterfront with landscape lighting. 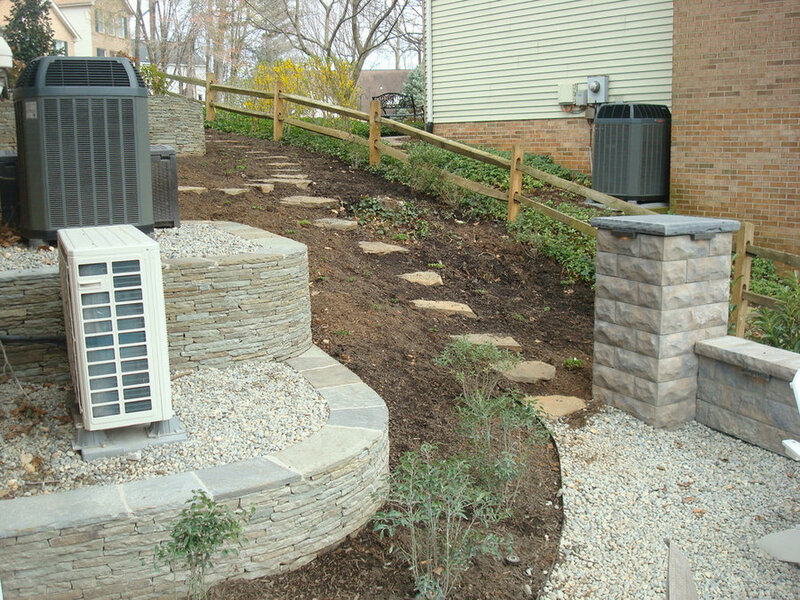 Staggered Staircase using Techo Bloc Rocka steps 48" in Riviera color. 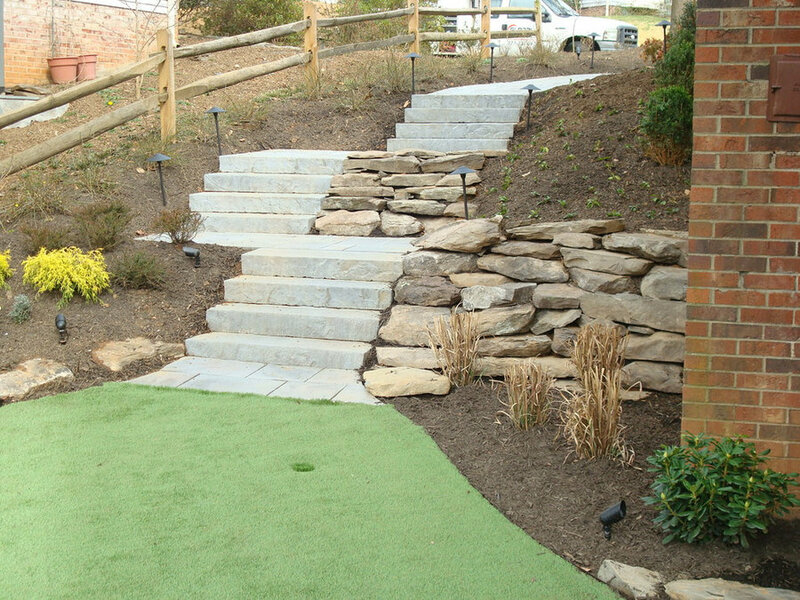 Boulders used as accent and erosion control leading to putting green. 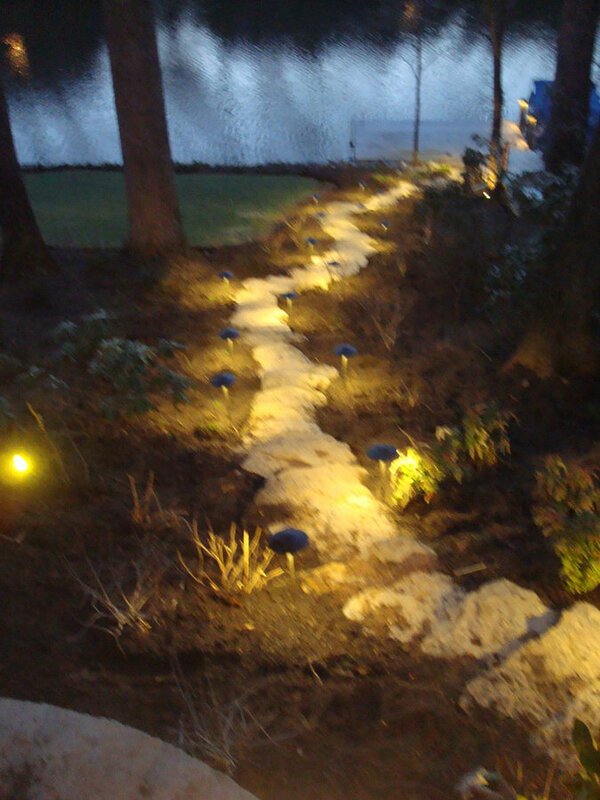 Path lights illuminate steps. 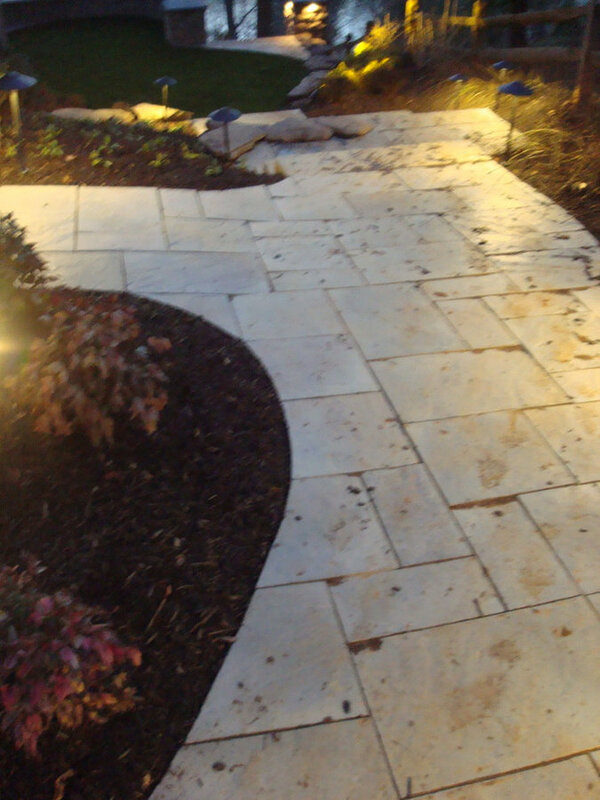 Nice illumination on path with LED low voltage lights on Techo Bloc Inca Pavers in RIviera color. 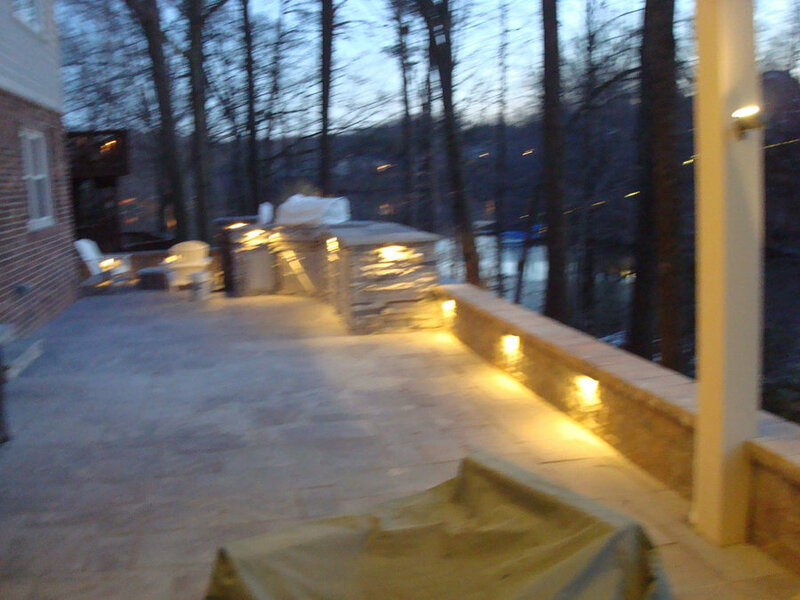 Illuminated seat wall and outdoor kitchen. 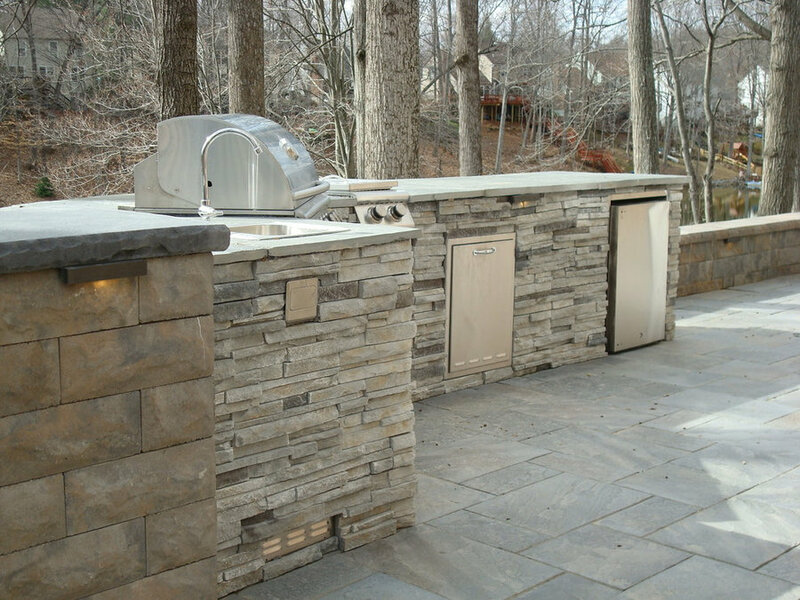 Kitchen is all stainless appliances with stone veneer and flagstone counter. 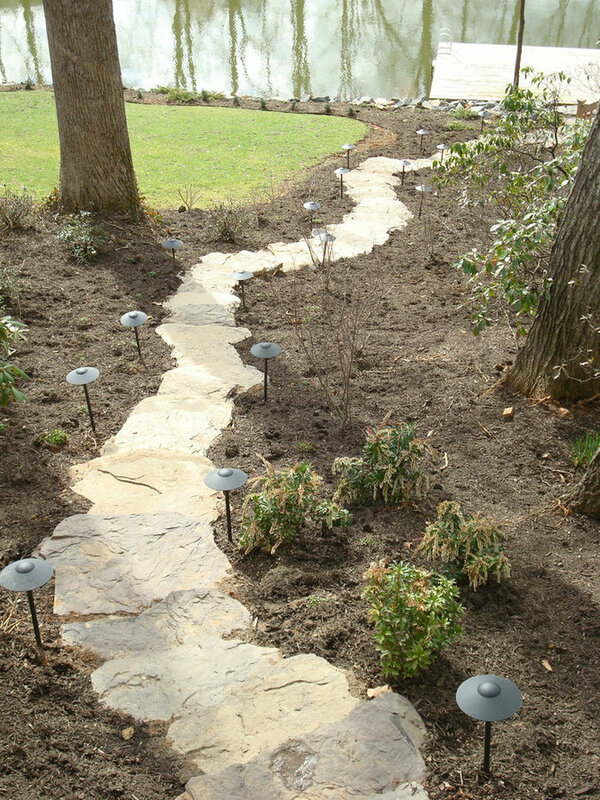 All LED low voltage lighting. 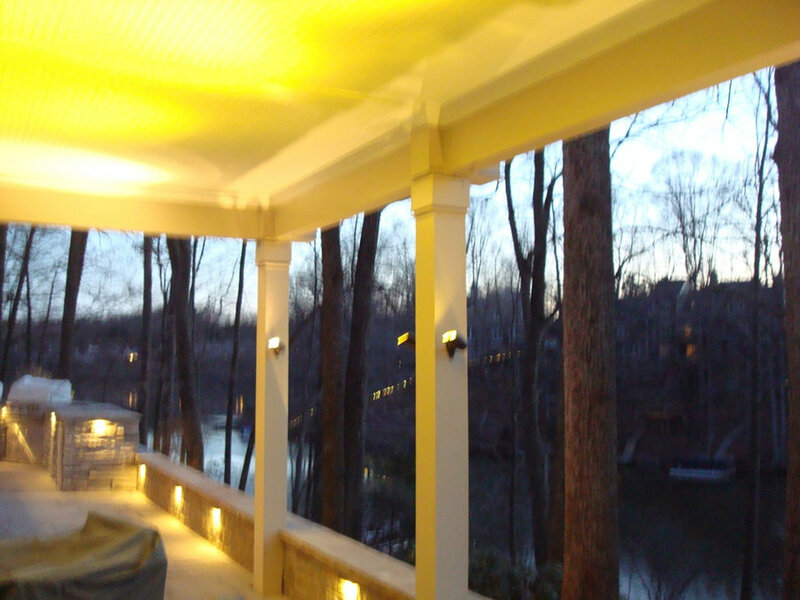 Low Voltage LED lighting under porch. 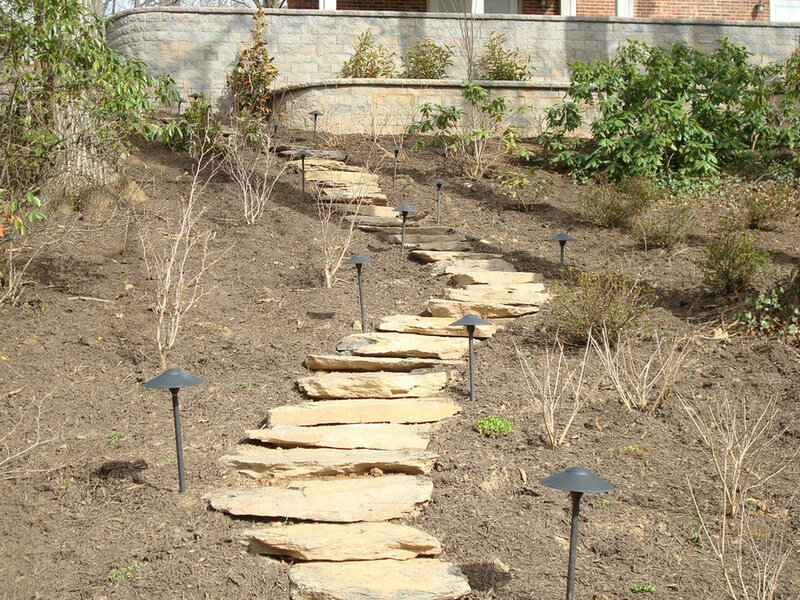 Up lights provide the right amount of reflective light.